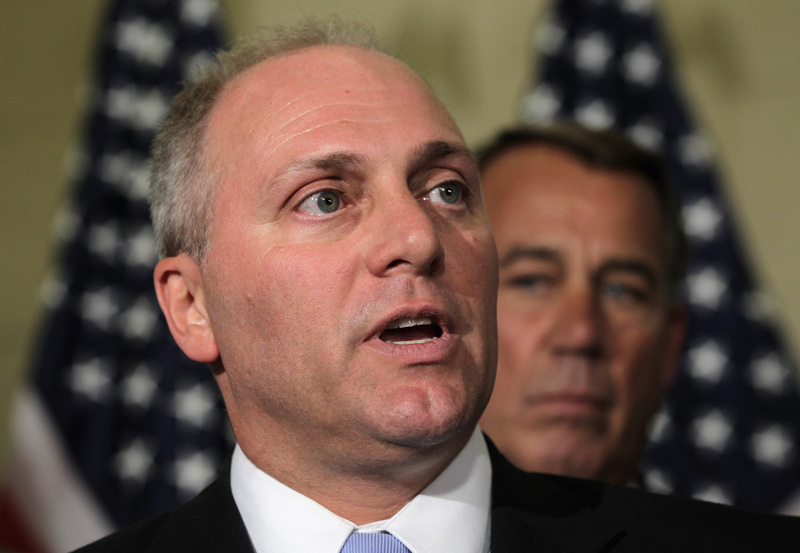 House Majority Whip Steve Scalise called into a conference call Monday for House Republicans focused on government funding, according to a Scalise aide on the call. "He thanked the Whip Team and Rep. McHenry in particular for stepping up in the weeks following the shooting," the aide said. The aide said that Scalise made it clear that he is focused on his inpatient rehabilitation, and that the timing of his return to work on Capitol Hill will be determined by his doctors' advice, and has not yet been decided. Scalise was discharged from the hospital in July after being wounded a month earlier at the a GOP congressional baseball practice days before an annual charity baseball game. When he was released, MedStar Washington Hospital Center said that Scalise would still undergo further rehabilitation and "made excellent progress in his recovery" and "is in good spirits and is looking forward to his return to work once he completes rehabilitation." CBS News' Catherine Reynolds contributed to this report.